A former Nigerian Defence Minister, TY Danjuma, on Saturday accused the Nigerian armed forces of aiding the ongoing killings in Nigeria, especially the deadly attacks in his home Taraba State. 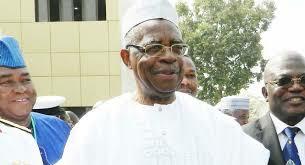 “You have nowhere else to go,” Mr. Danjuma added. Defence spokesperson, John Agim, told the Media that the allegations were unfounded.